With the assistance of our skilled professionals, we are highly involved in offering an exceptional array of LORD Adhesion Promoter to our esteemed customers. 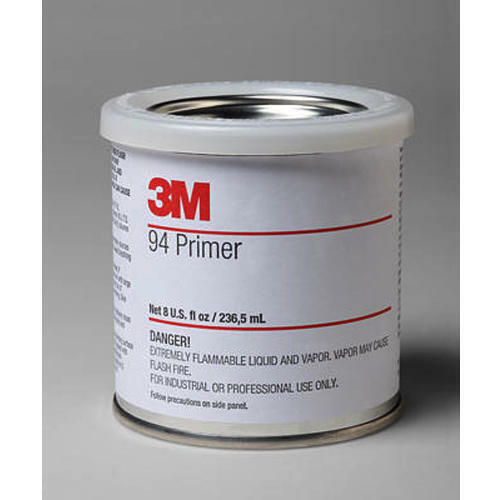 Our offered primer is highly appreciated in the market for their reliability and optimum quality. These films are manufactured by making use of top notch quality basic material and high end technology at our vendors end. Established in 2011, Shri International is an authorised sales partner of Avery Dennison product, involved in the realm of Wholesaling, Supplying & Trading of Foam Tape,Adhession Promotor, Polyester Tape, Pressure Sensitive Tape, PVC Tape, Sealing Tape, Spacer Tapes, Tissue Tape, Transfer Tapes, PTFE Adhesive Tape, Structural Adhesive Tape, Non Woven Adhesive Tape, Self Adhesive Tape, Paper Tapes, Label Tapes & Adhession Promotor. These products are designed under the supervision of capable personnel by employing supreme-class quality basic material along with futuristic tools. Also, the entire consignment is reviewed sternly before getting delivered to retain its efficiency and consistency at the premises of our clients. In adherence with the principles defined by the market, these products are highly commended and praised due to their durable nature, fine finish, effectiveness and smooth texture.